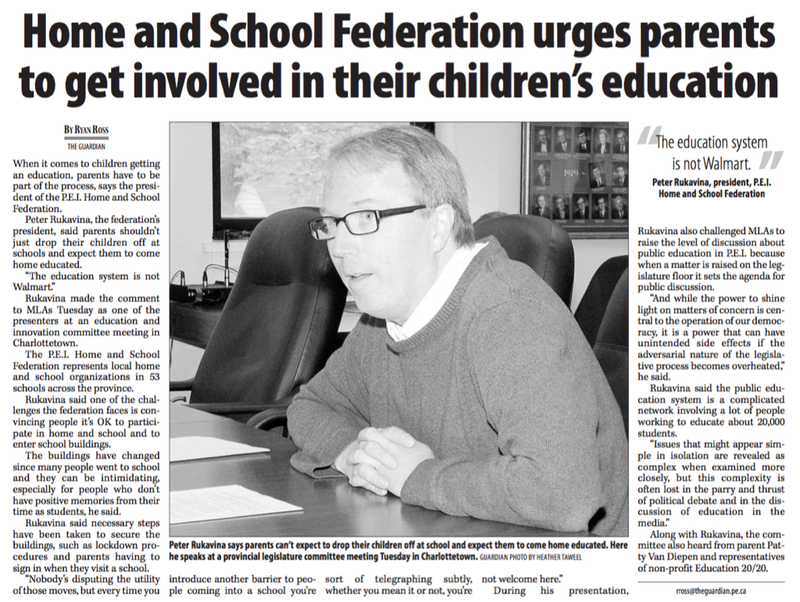 Back in October of 2014 I made a presentation on behalf of the PEI Home and School Federation to the Prince Edward Island Standing Committee on Education. In the question and answer session after my formal remarks I had occasion to suggest that “the education system is not Walmart,” something The Guardian called out in their reporting on the session. What I meant by the comment was that we are not consumers of the education system, we are participants in it: we are all as much learners as we are teachers. Education is not a commodity, it’s an experience, and one that demands participation, not simply consumption. Walmart is certainly a useful place to go if you want to buy cheap socks. But you don’t go there to become a better human being. I have similar feelings about Facebook. Deep in my heart of hearts I see the rise of Facebook as the go-to place to post baby photos (etc.) as representing a deep failure of we who were there at the dawn of the web to do better. We naively thought that society would build itself into an army of DIY-friendly digital warriors, ready to spin up a server and configure a Drupal instance. We were wrong, and I will bear the shame of that until I die. But for all that good, Facebook is more like Walmart than it is like that spot in the park around the corner where neighbours chat while their kids play. It is a marketing platform in the sheep’s clothing of the agora, and I find that conceit deeply disturbing. This was driven home for me several years ago when I had lunch with a friend of a friend of a friend from Halifax. He was in the marketing game, and told me the tale of using Facebook from the other side, the side we baby-picture-posters never see, the side marketers use to push messages to finely-tailored demographics. All of a sudden the utility, for Facebook, of the “like” jumped out at me (I’m ashamed to say I’d never considered it in this light before): when we “like” something on Facebook we are part of a demographic sifting process. We are helping Facebook learn more about us so that they can package that information and sell it. And it’s not just the “liking” that Facebook uses: it’s who your friends are, and what they “like,” and what you post, and what your friends post. And it extends beyond the bounds of Facebook itself: Facebook follows you around the web (those seemingly-benign and handy “like” buttons on websites: all part of the information gathering). I use Facebook about as rarely as possible. I push my blog posts there automatically, occasionally make a comment on others’ posts, and that’s about it. 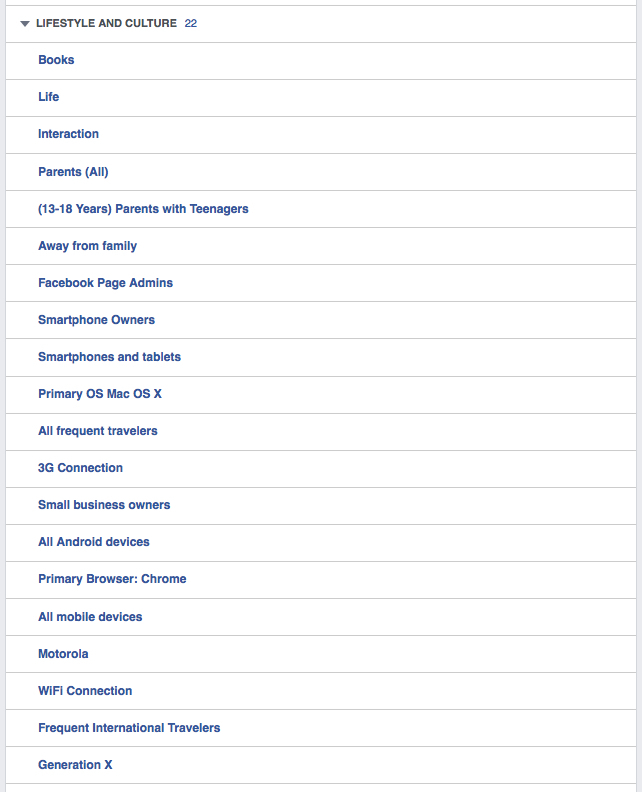 And yet here are Facebook’s “Ad Preferences” for me, based on what it’s been able to accumulate through its demographic dredging processes (you can find your own under Settings > Ads > Ads based on my preferences > Visit Ad Preferences). That’s 100% accurate. Imagine if I was a more serious Facebook user. What we civilians seldom see is the other side of this equation (although there’s nothing preventing this: go and take a look). I don’t begrudge Facebook this, as this is its business, and it’s no more or less evil than any other enterprise. What does bother me, though, is the popular notion that Facebook is somehow benign. 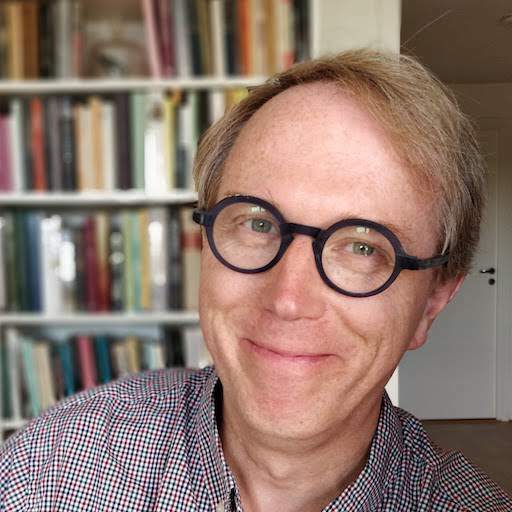 Progressive organizations routinely push the public to their Facebook pages, for example, with seemingly no critical reflection on how, in doing so, they are, in essence, requiring visitors to both deanonymize themselves and to further assist Facebook in its effort to target them (and their friends, and their friends’ friends). And I am no better. 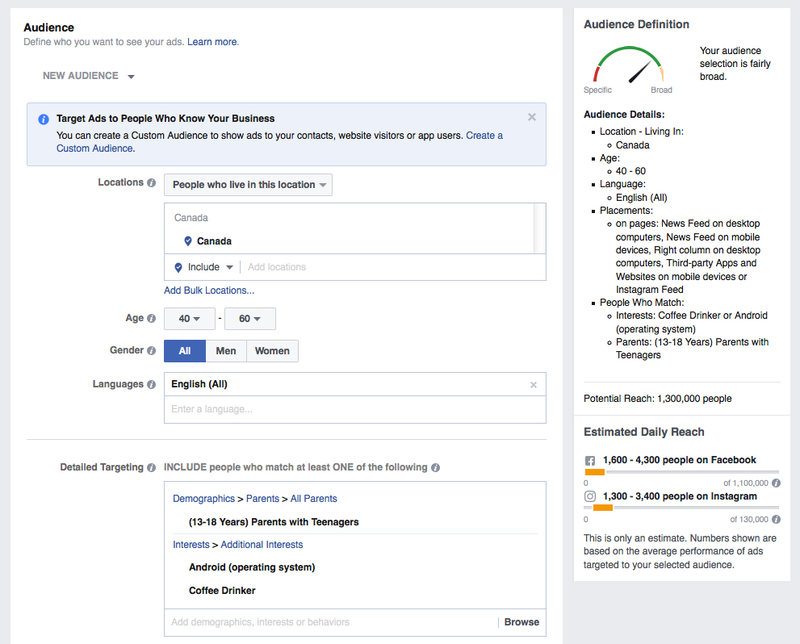 When I push my blog posts to Facebook and you click on them to read them here, you are helping Facebook target you, adding another data point to the big data pile. I’ve been able to heretofore conscience this in the name of exposing what I write here to a wider audience. But an odd thing has grown out of this: those that follow links from Facebook here and read what I write, will, more often than not, return to Facebook to leave a comment. Which, to me, seems sort of like excusing oneself from a conversation and driving out to Walmart. I’ve tried and failed to understand this behaviour. And I’ve grown more and more uncomfortable with the notion that my non-commercial rantings in this space gain a non-benign commercial quality when I push them to Facebook. So this will be the last post I push to Facebook. And, for that matter, to Twitter, which, despite greater hipster street cred, is essentially in the same game as Facebook. But what are you to do if you have been following along from Facebook or Twitter and now find yourself cast adrift? There’s no reason you can’t visit ruk.ca in your browser whenever the mood strikes. It’s not automatic, but it’s the simplest solution. Every time I post something, you’ll get an email. Subscriptions are run through FeedBurner, which is a Google-operated service, albeit a largely forgotten and untended one. I’ll know your email address and that you’re a subscriber. 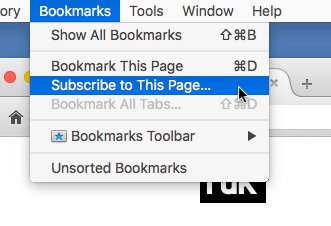 Firefox lets you create bookmarks that are “live” inasmuch as they always have an up to date list of blog posts attached to them. IFTTT is a website service that allows you to set up “recipes” — it stands for “if this, then that,” and that’s as good a description of the service as any. 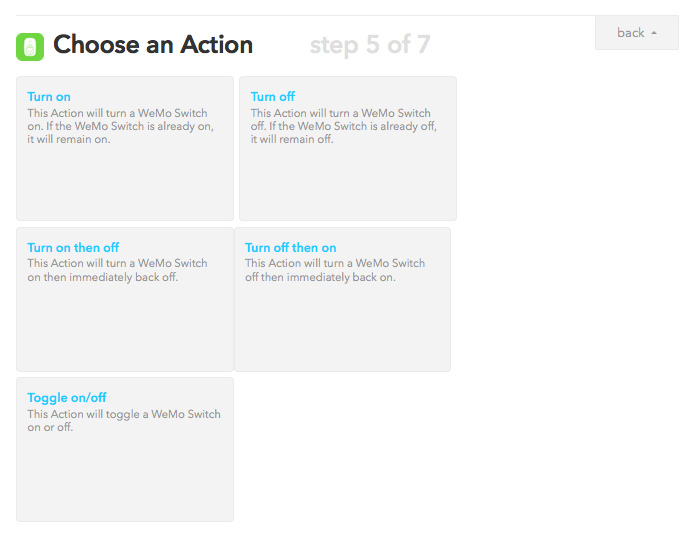 Setting up an IFTTT account is free (but, of course, as with all such “free” services, assume that there’s something in it for someone else at some point). For the “that” part of the equation — i.e. how you’ll be notified — the world is your oyster. That said, I encourage you to use an RSS reader if you can, as it’s a delightful, decentralized way to experience not only this website but many others. Install an RSS reader app on your computer. On a Mac NetNewsWire is the venerable choice, for example, and it’s available for iOS as well. 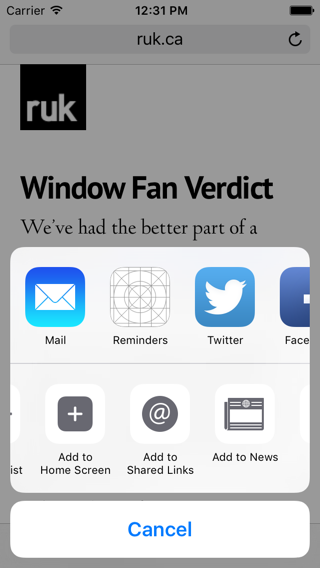 The advantage of using an RSS reader app is that you don’t have to sign up for anything: there are no third-party services to join, and all the magic happens on your computer or your device (although some readers have additional “syncing” features that you can optionally use to sync your RSS feeds across devices). Use a web-based RSS service like Feedly or The Old Reader. These are RSS readers you use inside your web browser. They tend to be free-to-use for some limited number of feeds, with premium subscription services on top of that. 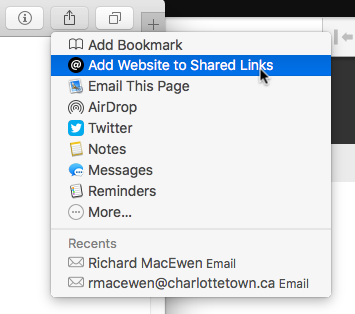 If that address looks familiar, it’s because if you’re adding a Firefox “Live Bookmark” or a Safari “Shared Link,” you’re actually subscribing to the RSS feed, simply from within the more comfortable confines of your browser. I went to a PEI Writers’ Guild workshop called How to Get Published yesterday morning. I was simply curious; unlike most in the room, I don’t have a manuscript in my desk drawer waiting for the world. One of the points driven home several times by the presenter was the importance of “building a social media platform” as an author. Consider this withdrawal from social-media-pushing my doing the opposite of this. As such, I’m aware that fewer people will read my words here. But my words are not like Walmart. They are heartfelt. I spend a lot of time on them (it took me 90 minutes to write this post). I am proud of them. They should demand a little work, at least on the head end, to be able to read regularly. If this is the last blog post of mine that you read, I’m sorry; it’s been fun, and I will miss you. I hope you find another way in the door. 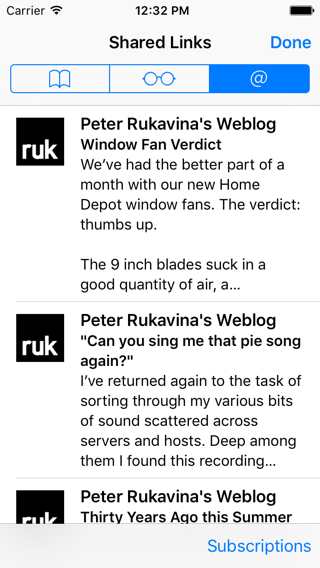 If any or all of the above confuses you, and you need help finding a replacement way to receive notifications, email me at peter@rukavina.net and I will help you until you’re set up properly. Written July 17, 2016 at 11:31 a.m. I got here this time via Twitter, however read the main website enough that it shows up on my Google Now feed for new posts. So that's another link to a company whose data is used for advertising, but also brings visitors. I’ve no issues with my readers opting in to being marketed against through their own tools and behaviours. My Android phone does the same thing for me, and I find it helpful. 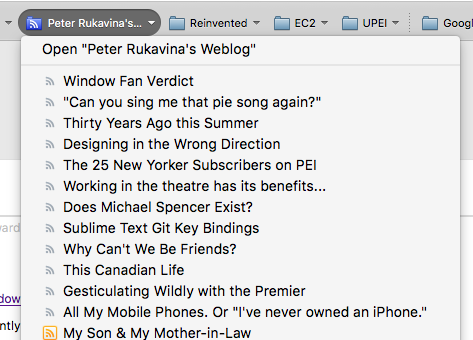 I happily follow ruk.ca via the http://feedbin.com RSS reader. I also drive a minivan. Have you followed any of the rumblings of the https://indieweb.org/ project? I’ve been following the IndieWeb developments, and especially the meme of POSSE, which advocates keeping your own site as a “hub” and syndicating out from it, which is, in essence, what I’ve been doing for several years. What this approach discounts, however, is what one gives away when syndicating: it treats the act of syndication as a benign act. For the longest time I agreed to think that way too. But now I’ve changed my mind. I’m simply uncomfortable with the idea that my words are being used to market against people in a way that I’m purposefully contributing to. Have you considered running a diaspora pod, to also replace the social network side of things? I hadn’t thought of that, mostly because I’d assumed that project had withered away. I’ll take another look. I also came across pump.io from the same guy as identi.ca that seems to use the same distributed principles as diaspora. Haven't played with it yet though. As a distributed social network, Pump.io is not tied to a single site. Users across servers can subscribe to each other, and if one or more individual nodes go offline the rest of the network remains intact. Something that got missed by some readers — perhaps because this was a long and rambling post — is that I’m not suggesting that people stop using Facebook and Twitter, nor am I going to stop using Facebook and Twitter. I’m just no longer going to syndicate my blog posts there. Thanks for this Peter. You have done a great job explaining my own hesitancy in pushing my blog posts to Facebook, as infrequent as they may be. RSS still my go to. The monetization of data, and sponsored posts, makes me question everything I see on FB... But that's where my friends are... and I have rekindled some otherwise lost connections. It's hard to leave! Perhaps a question of density. 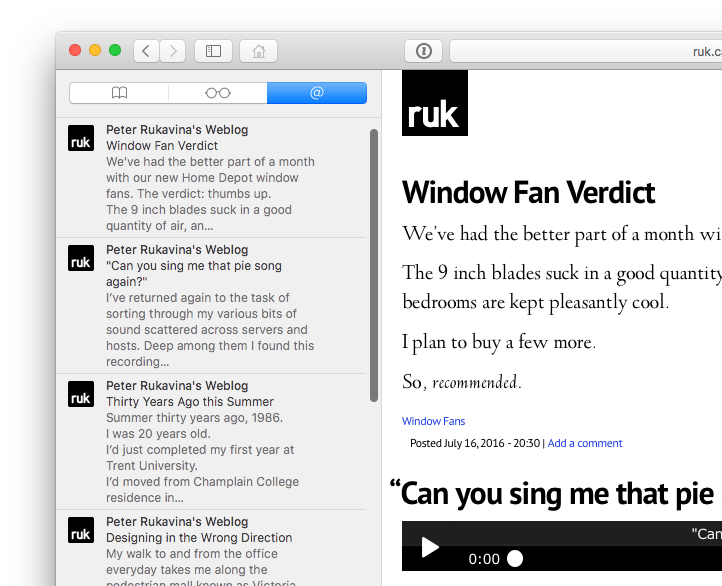 Already following ruk.ca via Feedly (old school). I understand and applaud your decision. More of us should be as educated in the unseen effects of social media. This was eloquent and well-argued. The promise of supporting those for whom the IT bit is a little much was very much you. I, too, applaud this move. Peter, your and my use of blog is slightly different, in that you post about all the various facets of you in the same spot. I find that with my blog I've always more or less only published things of profession related interests in my blog, and use FB to also post the smaller things, a few more personal things etc. To me FB, while certainly exploiting my data, is a 'safer' space for some of that (or at least succeeds in pretending to be), to the extent it allows me to limit the visibility of my postings, which I intensively use. Now I could post tumblerlike on my own blog, but would not be able to limit visibility of that stuff (other than by the virtue of no-one bothering to visit my site). That is I think the thing I like to solve: can I shape my publications / sharings in much the same way I shape my feedreading habits: in circles of increasing social distance. This is the original need I have for social media (see my blogposting from Sept 2006 for example descriptions http://www.zylstra.org/blog/2006/09/barcamp_brussel/ ), as yet unsolved, except for letting myself be locked into some walled garden. Sure, there are a few selfie addicts whose faces I could do without seeing every single time I log on but I would rather put up with them than fifty push notifications for my favorite accounts every time they post. This function automatically executes all necessary single git steps. Unfortunatly only available for Windows. Dave Winer confronts a similar issue based on different set of considerations and arrives at a similar conclusion.